Blogging has turned many people into work-from-home billionaires. In every part of the world, tech-savvy users are interested in making their blogs and websites profitable. Many advertising networks allow people to publish ads and earn steady income. Here, we will explore the top ad networks for bloggers. This program is the Godfather of internet ad networks. They actually came up with the concept of sharing advertising revenue with publishers from all over the world. They have literally millions of advertisers and publishers and hence are considered as the biggest ad network in existence. Getting approval from Google has become much difficult these days. A new blogger should take some time doing SEO and marketing his website before applying for an AdSense account. The network is reliable, high-paid (68% revenue sharing) and CTR (click through rate) is also very high. YPN is the oldest ad networks. Yahoo invented the sponsored search concept back in 1998 and since then it has been sharing revenues with publishers and partners. But the problem is, this network doesn't accept bloggers with a small or medium size website. Only websites with tons of contents, high SERPs, brand image and great online reputation are eligible for becoming a Yahoo publisher. But it's still considered among ad network giants. Kontera is known for its numerous ad templates and designs. A blogger can customize the ads according to his preferences. Ads from Kontera also convert well and the network is great for the medium websites that receive decent amount of targeted traffic. Infolinks came with an innovative idea of contextual ads. They place advertisements within the content. An engaging article can convert the readers effectively through this system. The revenue sharing is high; approval system is fast, easier and efficient. Also, the network offers multiple payment methods for withdrawing the revenue. Chitika is another large online ad network for bloggers and webmasters. They have an intelligent API that serves mobile ads for tablets and smartphones, serves local ads and search targeted ads. So the conversion rate is higher than many networks; unfortunately their pay rate is low and inconsistent as compare to AdSense. But, you can run AdSense and Chitika simultaneously. This also stands among the top ad networks for bloggers. It comes with graphic-banners, contextual links and small ad blocks. Dynamic options and a huge base of advertisers have made this a successful ad network with very good conversion rate. This ad network offers a unique concept to the bloggers and webmasters. The ad network lets you sell or rent space for advertisements on your site. You can set the charges according to your preferences. The only problem with this network is you must have a decent amount of organic traffic and SERP for a converting keyword. Adbrite is a system inspired by Google AdSense. Since AdSense approval has become very difficult these days, this network is turning into the number one choice for people who own websites. Their pay rate is considerably high and they have a huge advertising customer base. BidVertiser is a strong competitor for AdBrite. They have similar advertising templates and strategies. Unfortunately, the pay rate of BA is lower than most networks. But they easily accept applications from new bloggers and they pay regularly (though the sharing percentile is low). ContextWeb is a relatively new ad network. But it has already demonstrated promising performance. They have a great customer service; the reps are highly cooperative and knowledgeable about technical issues. Also, their pay rate is higher than many old networks. 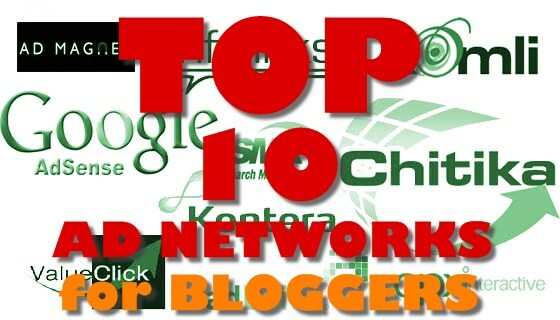 Finding a suitable ad network is certainly a challenging job for new bloggers. If you are still confused as to which one to start with, you can take guidance through discussion forums and blogs. Hassan Akhtar is a WordPress developer and freelance writer. If you are looking for a premium restaurant theme or some useful tutorials then visit his website now. If you'd like to guest post for US check out our Write for Us page for details about how YOU can share your knowledge with our online community.